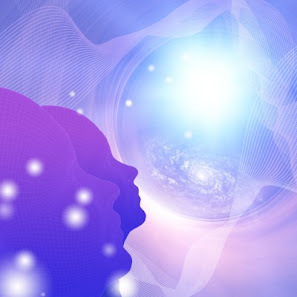 Are you aware that you can improve your energy field through meditation? Would you like to energize both your mind and body during your meditation practice? 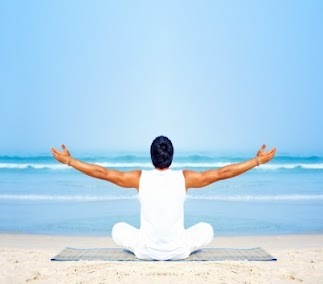 Did you know that raising kundalini meditation can help you to stay focused and relaxed? Today, the age-old practice of meditation has been hailed all over the world as the modern-day solution for common problems such as stress, illness and depression. Meditation promotes total self-awareness and holistic health – including mental, emotional, spiritual, and physical wellness. For many people, there is something so intuitive about connecting with the inner essence on the deepest level possible, and meditation makes that happen. When you experience for yourself the many benefits of meditation – including increased energy, uplifted mood, mental clarity, calmness, and health improvements – you’ll understand why this practice is so popular the world over. If you already meditate on a regular basis (and even if you don’t), there is something you can do to make your practice even more effective. Perhaps you’ve heard of kundalini? The kundalini is a dormant energy force that everyone has. You can imagine your kundalini as a coiled spring, where energetic potential is locked inside the spring so long as it remains coiled. When the spring is released, the energetic potential is used. Well, your kundalini is your source of unused energetic potential. You need only learn how to awaken your kundalini force in order to optimize your meditation practice. Kundalini meditation is a practice that focuses on healing and restoring your body’s inherent energy system. Basically, the kundalini is activated by the seven chakra centers you have within your body; these centers act as gatekeepers for the kundalini, which rises from the base of your spine to the crown of your head. When you work on opening the chakras, you not only clear the pathway for your kundalini energy to rise, you also stand to improve your life immensely. It could be a blockage at one or more of your chakra sites that is preventing you from already accessing your kundalini energy. Chakras can become blocked with negative energy; they can also close when struggles and grief become too much to handle in life. As each chakra pertains to a separate facet of your life, it is rare that all of your chakras are open or all of your chakras are closed. Each person has certain weaknesses which are the direct manifestations of energetic imbalances. However, these are easily restored through practices such as kundalini meditation. If you suspect that you have a blocked chakra site, you can find out more in order to target and heal that center. What does your meditation practice look like? If you have a particular routine that works for you, that’s great. You won’t need to make any drastic changes in order to make your meditation sessions kundalini-friendly. In fact, all you need to do is add this one-minute kundalini awakening exercise at the beginning and the end of your meditation practice and you’ll be able to feel the effects of realizing your energetic potential. Standing with your feet shoulder-width apart and firmly rooted on the ground, bring your hands to heart center in prayer position. On an exhale, interlace your fingers and push your hands down until they are resting in front of your pelvic bone. Once all of your breath has been exhaled, breathe in and push your arms out in front of you, keeping your fingers interlaced. As you inhale, slowly lift your arms until they are above your head. Bring your hands back to prayer center and repeat this sequence seven times, once for each chakra center. The above exercise is a simple way to energize your meditation practice and access your kundalini energy. You’ll notice that the energetic renewal you feel when you consciously focus on awakening your kundalini will enable you to increase your self-knowledge and start to feel whole again. 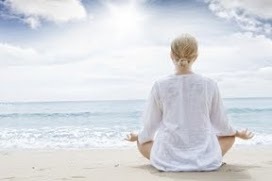 Kundalini meditation is a great way to revitalize your meditation practice. If you’d like to find out more about how to access your energy system, including your kundalini and your seven chakras, take some time to find out more today.